Removable, rechargeable battery delivers up to 500 full power flashes on a full charge, while recycling at a fast 0.1 to 1.7 sec. An integrated 2.4 GHz XProS radio system is incorporated for wireless triggering with a separately purchased transmitter with a range of 164'. The system supports all of the flash's major functions. 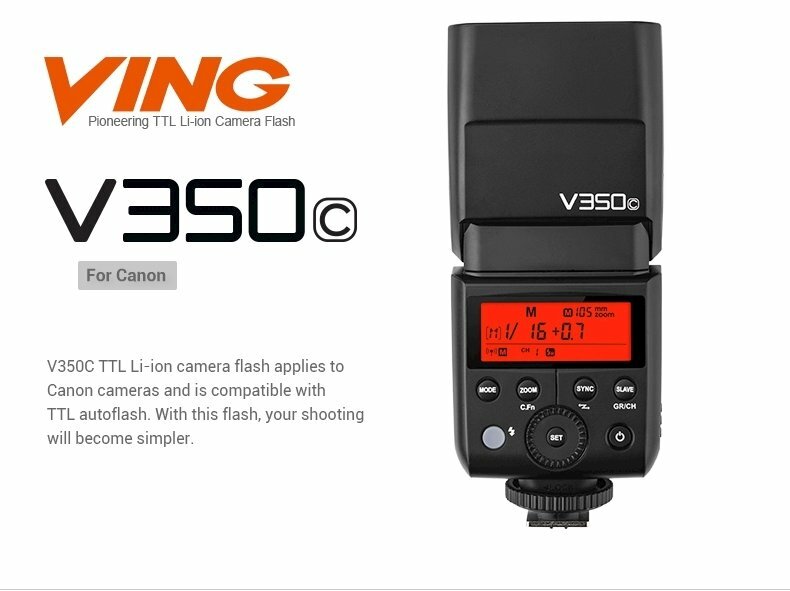 With a guide number of 118' at ISO 100 and 105mm, the V350C will provide ample illumination for most subjects. It also features a zoom head with a range of 24-105mm and a 14mm wide-angle panel for using a variety of different lenses.